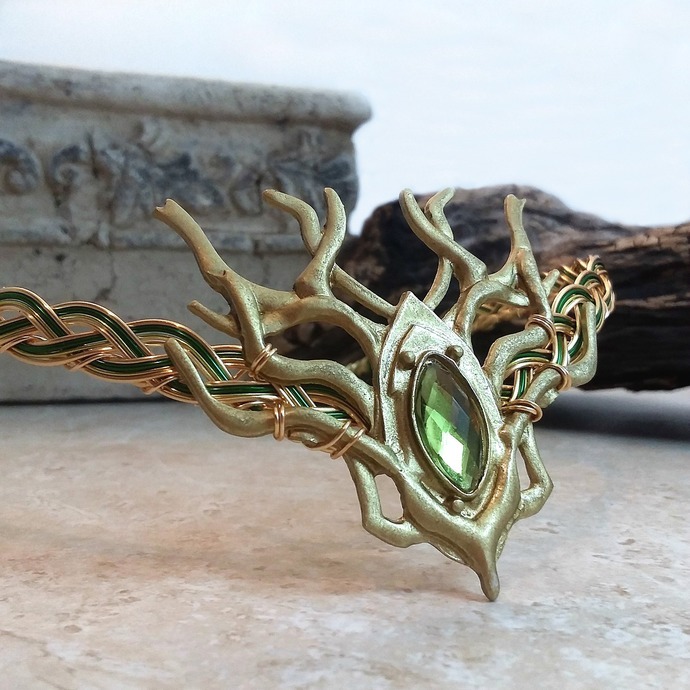 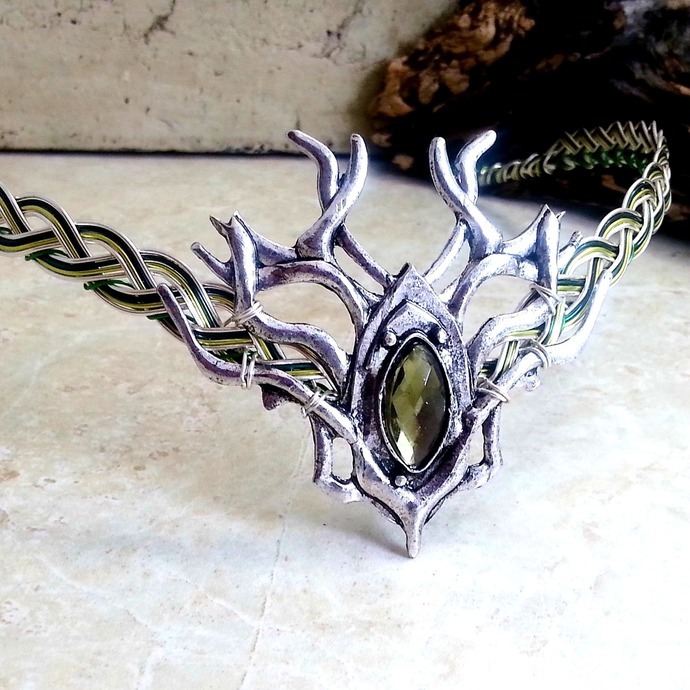 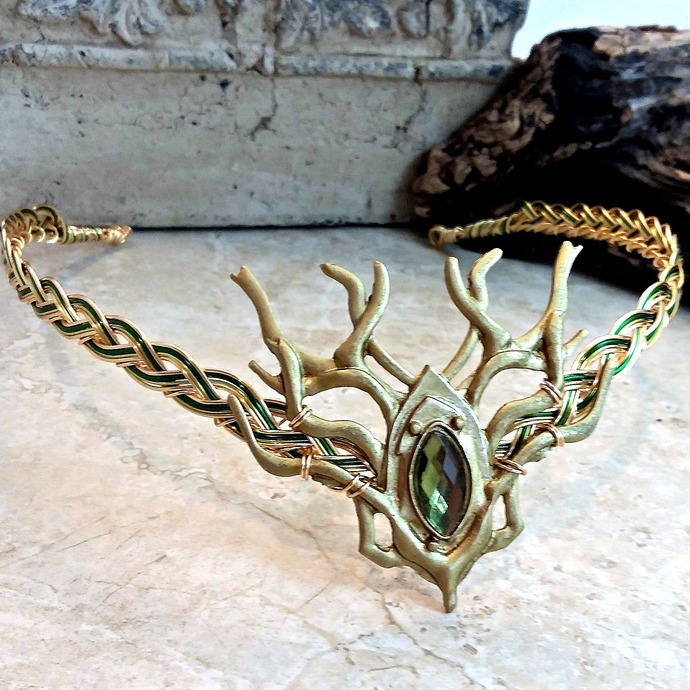 A woodland stag branch design with a mossy green gem centerpiece is the focal point of this unisex Celtic elven circlet, inspired by the forests of Ireland and Scotland. 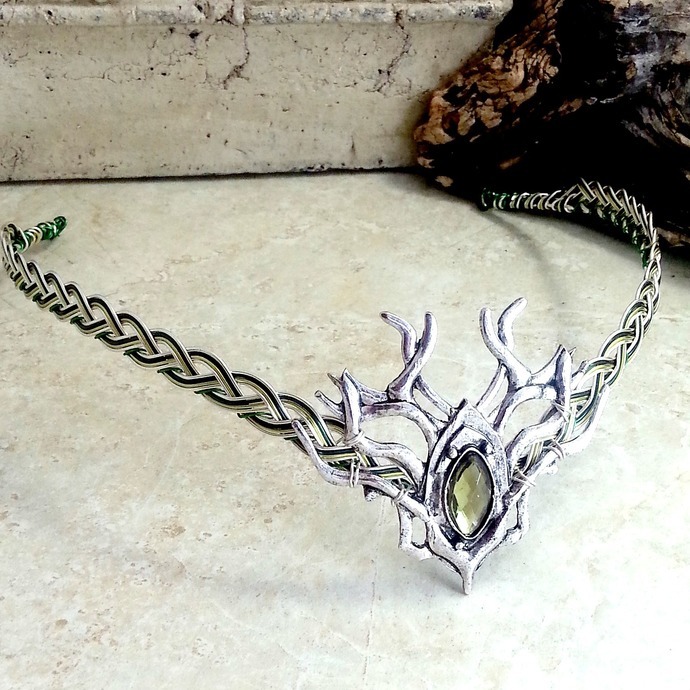 BUTTERFLY BACK OPTION: For just $15 extra you can finish off the back of your circlet in style. 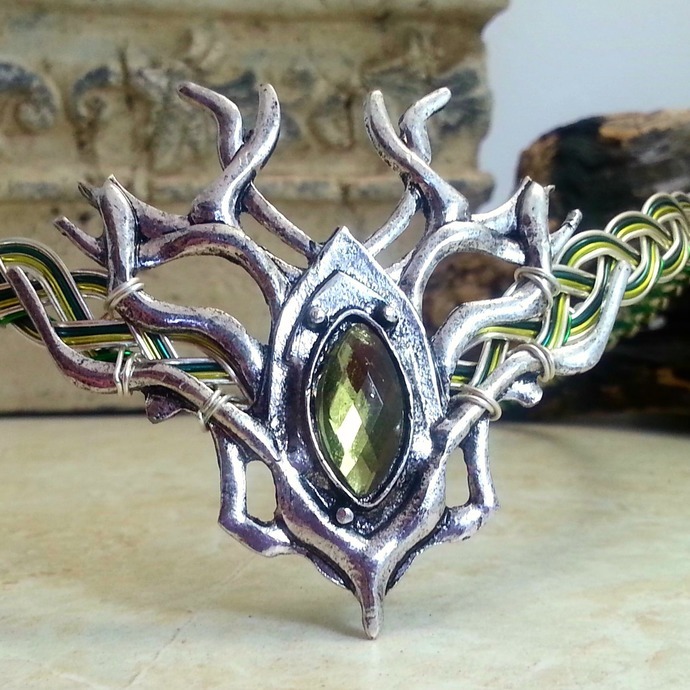 (last photo) All our circlets are open-backed allowing you to share them or do a different hairstyle. 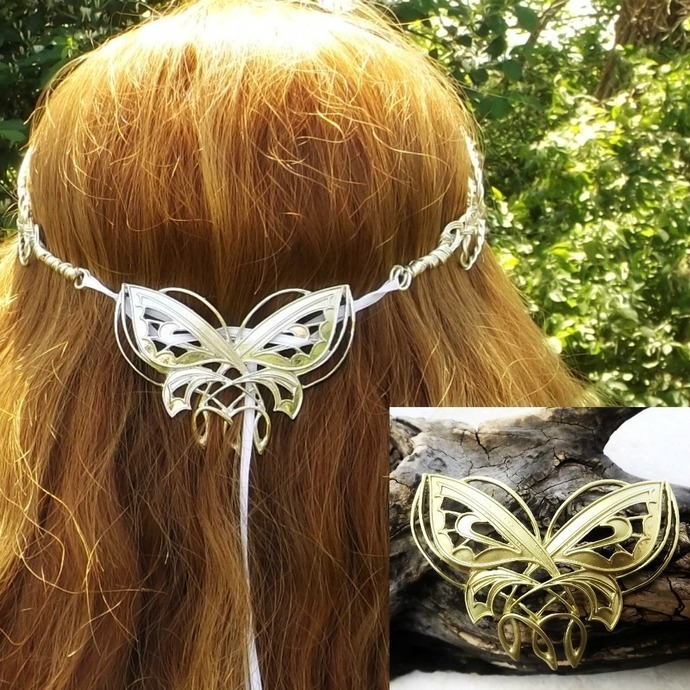 The Butterfly back is simply looped into whatever you tie the circlet with, ribbon, cord, leather, elastic etc, making a great final touch to your headpiece.- NOTE: Butterfly will match wire/metal color chosen.